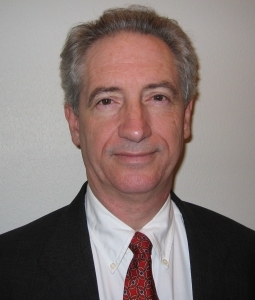 Duane Windsor (PhD, Harvard University; BA, Rice University) is the Lynette S. Autrey Professor of Management in the Jones Graduate School of Business at Rice University. He joined the Rice faculty in 1977. His research and teaching focus on corporate social responsibility (CSR), business ethics, stakeholder theory, and sustainable development issues. He has published various academic papers in journals and books. He served eight years (January 2007 – December 2014) as editor (in chief) of the academic journal BUSINESS & SOCIETY, for which he is in 2015 consulting editor, sponsored by the International Association for Business and Society (IABS) and published by Sage. He is presently an associate editor on a planned seven-volume ENCYCLOPEDIA OF BUSINESS ETHICS AND SOCIETY (2nd edition), to be published by Sage. This presentation will address the recommended role of sustainable development partnerships in improving health in developing countries. Dr. Windsor will explain his view of corporate social responsibility (CSR) in health provision. He will discuss some examples of businesses adopting a CSR orientation, and also some risks of doing so. He will explain his conceptualization of four-sector sustainable development partnerships. 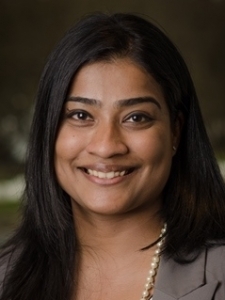 Asha Varghese is the Director of the Global Health Portfolio at the GE Foundation. Her range of responsibilities includes leading GE’s philanthropic programs related to global healthcare focused on cost, quality and access. In particular, Asha oversees GE’s signature health program – Developing Health Globally TM – that aims to improve access to quality healthcare across the developing world. Prior to this role Asha led the US Healthcare portfolio for the GE Foundation setting the strategy and implementation of national initiatives focused on chronic diseases. Asha joined GE in 2004, and her background includes Information Systems, Six Sigma, and strategic planning for business processes. In addition to her current role at the Foundation, Asha also sits on the leadership council for GE’s Asia Pacific American Forum Education initiatives. Asha holds a BS in Computer Engineering & Computer Science from the University of Louisville, KY. The GE Foundation is creating long-term, sustainable healthcare solutions to solve the most critical challenges in Africa, South America and Asia face today. Join this session with Asha Varghese, GE Foundation Director of Global Health, to learn more how the Foundation is making an impact on global health and its holistic model for addressing common pain-points – like access to safe surgery and training. Dr. Buford is currently the Global Medical Director of the Medicine and Occupational Health Department for Exxon Mobil Corporation. The department delivers services to over 80,000 ExxonMobil and affiliate employees worldwide. In addition to traditional work-related occupational health services, their service portfolio includes emergency response, travel medicine, industrial hygiene, drug testing, infectious disease support and health promotion services delivered across a global network of over 90 clinics. Dr. Buford completed her undergraduate education at Duke University obtaining degrees in Psychology and Chemistry. While at Duke, she received an undergraduate research grant from the Department of Neuroanatomy and her work contributed to a publication in the Journal of Comparative Neurology. She attended medical school at Meharry Medical College in Nashville, Tennessee, completed a residency in Occupational Medicine and obtained a Masters of Science in Public Health at the same institution. She is board certified in Occupational Medicine. Dr. Buford is a member of the Alpha Omega Alpha Medical Honor Society, the American College of Occupational and Environmental Medicine (ACOEM) and the American Public Health Association. She also serves on the Society of Petroleum Engineers Health, Safety, Security, Environmental and Social Responsibility Committee and the International Corporate Health Leadership Council. This presentation will provide a brief overview of ExxonMobil’s perspectives on global health – key issues, stakeholders and why a large corporation like ExxonMobil considers global health a critical issue. Included are case studies which describe our integrated approach to this issue. Christina M. Hammock calls Jacksonville, N.C. home. 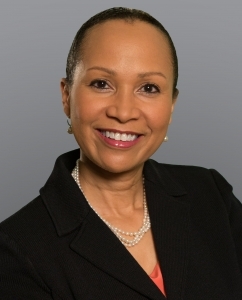 Hammock holds undergraduate and graduate degrees from North Carolina State University, Raleigh, N.C. She currently is serving as National Oceanic and Atmospheric Administration (NOAA) Station Chief of NASA in American Samoa.